Within months of his arrival in Washington, DC, President Woodrow Wilson had been driven around town in his Pierce Arrow Touring Car (photo above) so often that he could direct his chauffeur simply by naming which one of his familiar routes to take. When he wanted time alone to ponder, or to feel a breeze in the sweltering summer heat, Wilson rode in the passenger seat; after his wife died in the same moment that a grim war began across the Atlantic, widower Wilson consoled himself riding in the back seat. Wilson courted his new wife by taking long drives, often in her electric car, and proposed to her last September in the comfort of his Pierce Arrow as they were driven through Rock Creek Park. These are not uncontroversial words, and indeed Wilson is an automobile enthusiast during a period when motorcars remain controversial in way that is about to end. Henry Ford’s breakthrough Model T design is a marvel of mass production that has made cars cheap enough for everyday Americans to own — indeed, Model Ts are already being used in battle overseas, both as patrol vehicles and ambulances — but change is necessary before the American nation can accommodate millions of motorists, and important changes are almost never uniformly popular. Whereas American streets are rapidly improving in 1916, American roads — that is, the corridors of travel between the places with streets — are still an awful mess. Left entirely up to state and local governments, most roads are neglected, unsafe, and unplanned, producing haphazard networks that constrain trade. While asphalt was invented in the United States a quarter-century ago, and Pennsylvania Avenue has been paved for decades, most American roads are still unpaved. Markings are not uniform, either, leading to confusion, while useful maps are often unavailable. For the US Army, it is a national defense nightmare. So today, Wilson signs a new Federal Aid Road Act to establish a uniform federal highway policy for the very first time, providing 50-50 financing for road projects over five years. It is an important, if incomplete, step forward. The first attempts to alter the unwieldy chaos of American roads took place a generation before the Great War, when ‘safety bicycles’ made rapid self-transportation horseless for the first time, while handmade automobiles were still unreliable and expensive. American farmers were also suspicious of urban improvement campaigners at first, rejecting tax issues to pave highways, but the steady penetration of electricity and motorcars has altered life on the American farm for the better. 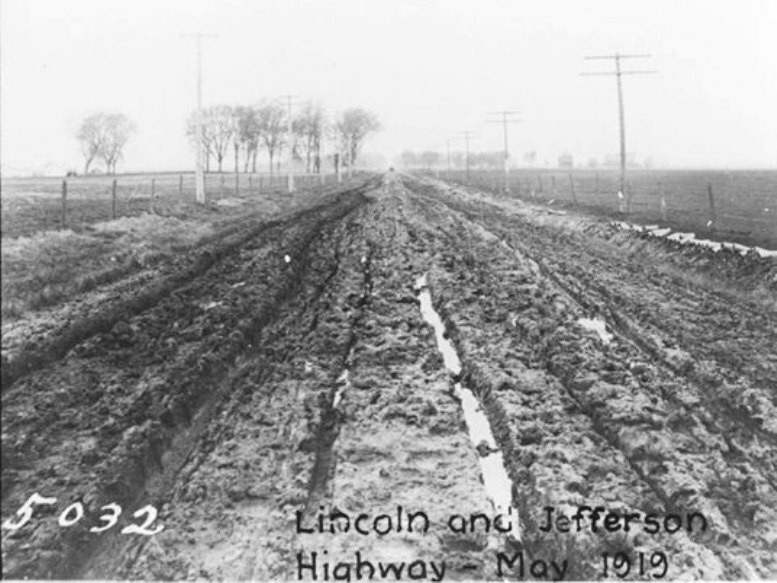 Agrarians have therefore become enthusiastic about improving the ‘post roads’ that connect their rural communities to urban centers of commerce, but not necessarily a real highway network. In fact, funding requests under the new law must go through the office of the Secretary of Agriculture. Congress first saw efforts to federalize highway planning and funding in 1902, the same year that the American Automobile Association was formed. Matters were became easier with a Supreme Court decision in 1907, Wilson v. Shaw; brought by a litigant who wanted to block Theodore Roosevelt’s imperial expenditures to dig the Panama Canal, the case instead formalized the court’s recognition of the federal government’s power to spend money on highways and other transportation improvements under the Commerce Clause of the Constitution. But it still took until 1912 for Congress to actually pass legislation, and the resulting Post Office Department Appropriations Bill was a failure, for it once again relied on county governments to get the job done. The bill signed today appropriates $75 million for the improvement of post roads. 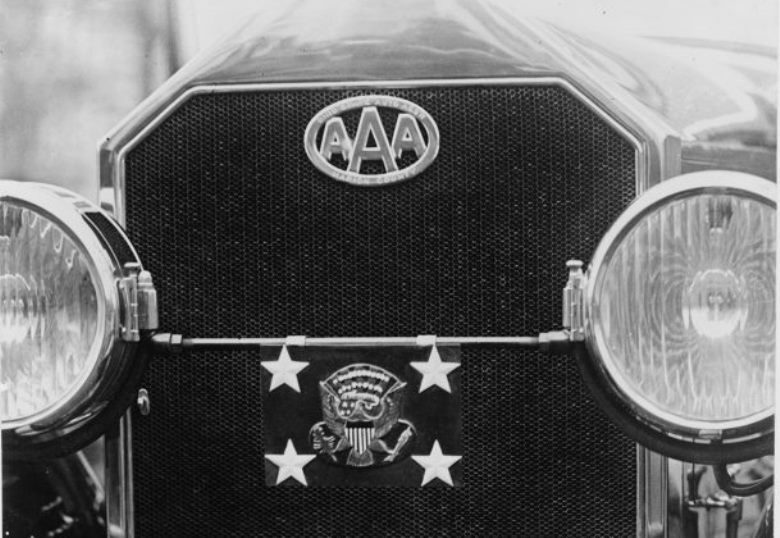 Looking on with the farmers are representatives of the American Association of State Highway Officials (AASHO), a new civil engineering organization, and the leadership of AAA, whose badge adorns Wilson’s grille above the Presidential Seal. On its way to being one of the most powerful lobbying organizations in the country, AAA would have preferred to spend money on a real network linking America’s cities, yet they still support the legislation because it makes other important changes, such as requiring every state to have a highway department that can disburse federal matching funds. A year from now, America will ride to war in Model T cars. Development will gain further momentum after the war, when millions of servicemen return to pursue happiness at breakneck speed, demanding maps and good roads and clear signage. Having seen the importance of infrastructure in winning battles, the military also recognizes a national imperative in efficient highways, adding to the consensus for new road construction. Meanwhile, AAA answers a surge of pedestrian collisions with a public relations campaign to banish them from the streets, creating the derisive term ‘jaywalker.’ An emerging American car culture is about to take over; the changes will not be uniformly popular.